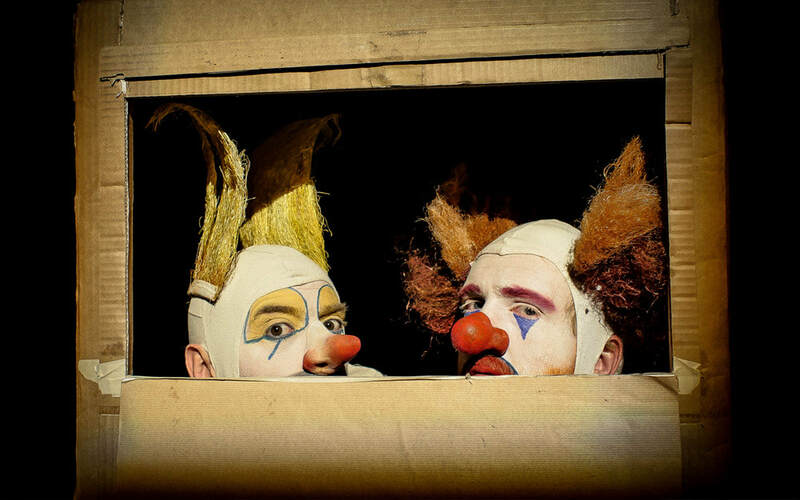 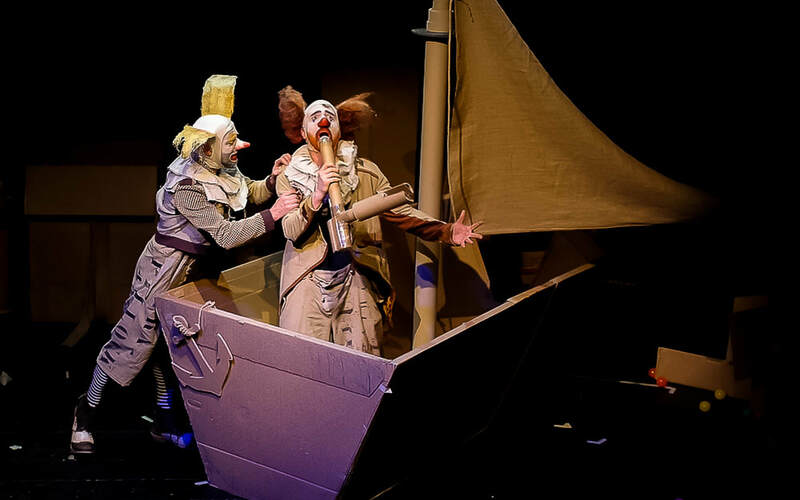 Created in Bristol and Norway, Coulrophobia is a co-production between Pickled image and the wonderful Figurteateret i Nordland and is a raucous tale of two clowns trapped in a cardboard world. Emma worked on the puppets and made the cardboard props for the show: pistols, a guitar, accordion and saxophone, tables, glasses and a transforming lift-boat-tank to name but a few! 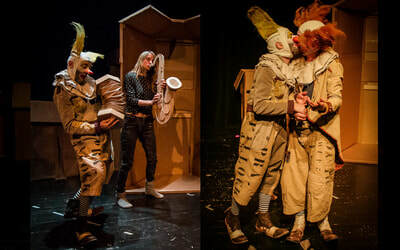 Directed by John Nicholson. 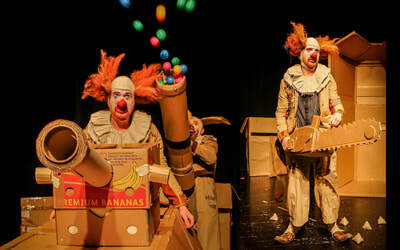 Photos by Adam Laity.